The 1950 Hamilton Sherwood was the second of seven different models to share the Sherwood name. It was produced for three years. 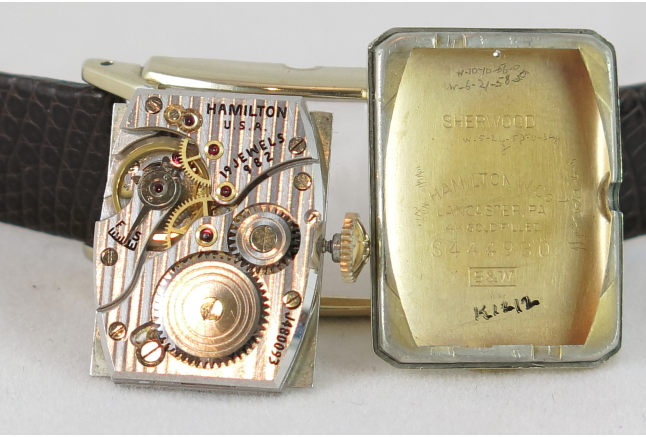 The Sherwood featured Hamilton's premium 19 jewel 982 movement and the movements from this period are typically highly damascened - where the bridges are decoratively machined to show patterns of stripes. Considering the end-user would never really have a need to see the back of the movement, the quality of the damascening just goes to show you how high quality Hamilton movements really are. Here's a shot of the movement and case back... check out the number of watchmakers marks inside the case back... I see at least nine. 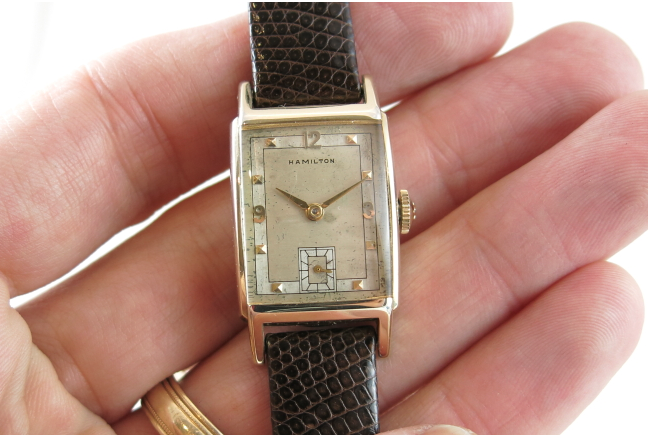 The owner of this watch really valued it and took great care of it. The 14K gold filled case came only in yellow. 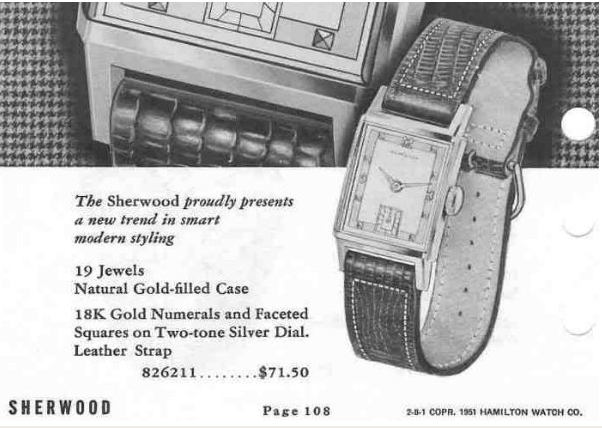 The sterling silver dial featured 18K solid gold numerals and markers with a two-tone white and butler finish. This Sherwood model is fairly small by today's standards. The 14/0 movement accommodates a narrow case design and the Sherwood is definitely a compact watch. It takes a 14mm strap and by today's standards, the Sherwood is a great option for a lady who appreciates fine watches. I just got my first Hammie recently - a Sherwood with 982 movement, in really good condition. Love it. I paid less than $100 for it. Is that good value? How long should it run and when should it be stopped being wound? I usually give it 10-12 winds when I start feeling 'resistance'. Can it be wound more than this?